Deferred Action for Childhood Arrivals, or DACA, is a contract. That is the premise of my Note “Keeping the Dream Alive: Deferred Action for Childhood Arrivals and the Necessary Next Step,” published in Volume 57 of Family Court Review in October 2018. Originally, I had chosen a completely different topic for my Note. However, in September 2017, United States Attorney General Jeff Sessions announced the Trump administration’s rescinding of the DACA executive memorandum. For approximately 1 million people in the United States, this was a devastating setback. Immediately I knew I had to change my topic. Family Court Review (FCR) is a quarterly peer-reviewed international, interdisciplinary family law journal in which research, proposed legislation, philosophies and scholarly works are shared to promote ideas and change among those in the family law community. With 4,700 subscribers worldwide, the journal contains articles written by experts in many different areas of family law. Also included in FCR are student-written Notes which involve student staff members choosing an unresolved issue within the scope of family law, researching it in depth, and writing a 25-page explanation of the issue, including the student’s proposed solution. 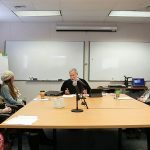 Each year the staff members of FCR compete for publication of their respective Notes, with only eight student Notes ultimately being chosen per volume. In 2012, DACA came into effect through an executive memorandum created by the Secretary of the Department of Homeland Security under the Obama administration. An executive memorandum is very similar to an executive order. Executive memoranda are most often used to set forth routine executive decisions and determinations or to give directions to agencies regarding their duties in a manner consistent with the law. The only technical difference between these two directives is that pursuant to the Federal Register Act, executive orders must be published in the Federal Register, while executive memoranda and proclamations do not need to be published unless the president believes them to have a legal effect with general applicability. The DACA executive memorandum was based largely on the Deportation Relief for Alien Minors Act, or the DREAM Act, which, to date, has not been passed into law. The goal of the DREAM Act is to provide deportation relief and the potential to obtain a social security number and a work permit for individuals who were brought into the United States illegally as children. The DREAM Act is intended specifically for those who are considered “the best and brightest,” requiring, at a minimum, school enrollment, a GED or military service to qualify for relief. These individuals, often called DREAMers, are contributing members of society in the United States, establishing themselves as Americans in every way but one: citizenship. As productive members of society, there are DREAMers who attend high school and college; DREAMers who are doctors, nurses, or in medical school; DREAMers who are lawyers or law students; and DREAMers who are members of many other professions. For many DREAMers, the only life they have ever known is in the United States. Everything they have and everyone they know is in the U.S., and to deport them would be to force them to start their lives over in a country with which they are unfamiliar, often with no family, friends or job opportunities. DACA and the DREAM Act were intended to provide a way for DREAMers to seek some form of legal status in the United States without suffering any of the negative consequences associated with their being brought into the U.S. illegally. However, by 2012, the DREAM Act had been proposed multiple times without passing. As a result, the Obama administration created DACA as a temporary placeholder for the DREAM Act’s expected passage. DACA is very similar to the DREAM Act and also required, at a minimum, military service, a GED or enrollment in school. However, as a temporary program, DACA only provided deportation relief for two years, with DACA recipients allowed to reapply for relief prior to the expiration of this two-year period. 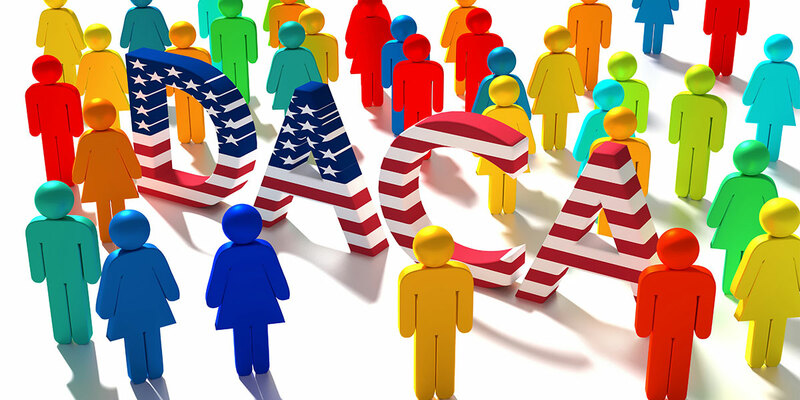 DACA, like the DREAM Act, also provided those who qualified with the opportunity to receive a social security number or a work permit so that they would have the necessary credentials to more easily obtain employment or to continue with their current employment. Recently, due to federal court decisions, United States Citizenship and Immigration Services, or USCIS, has resumed accepting requests to renew deferred action for DACA recipients. However, USCIS is only accepting requests from individuals who have previously been granted deferred action under DACA. The DREAM Act has been proposed in Congress seven times since 2001 but has failed to pass each time. The latest version was proposed in 2017, but failed to receive the number of votes necessary for the bill to proceed in the Senate. Each time the DREAM Act has been proposed, it has had some bipartisan support. In its most recent form, besides its many Democratic sponsors, the DREAM Act has even had a few notoriously conservative Republican sponsors, such as Senator Lindsey Graham and Senator Jeff Flake. However, bipartisan support overall has been minimal. The closest the bill has ever come to passing was in 2010, when the DREAM Act passed in the House of Representatives but failed in the Senate by just five votes. As a result of that vote, the Obama administration took action and ultimately implemented DACA. So how does that make DACA a contract? 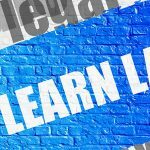 For a contract to be legally valid, it must have three components: offer, acceptance and consideration. In this instance, the offer made by the government to qualified DREAMers was temporary but renewable deportation relief, with the potential to obtain a social security number and a work permit. The acceptance by the DREAMers was their submission of applications to the DACA program. Lastly, the consideration was the government’s requirement that DREAMers reveal their personal information to the government in order to be accepted into the program. The DREAMers’ revealing of their personal information to the government makes them extremely vulnerable in the event that the DACA program is no longer in place and nothing else is passed or created to replace it. In that case, the government would have access to the addresses of hundreds of thousands of undocumented immigrants throughout the United States. Without any laws to protect them, this easily accessible information could potentially be used by the government to specifically target for deportation those who applied for DACA status. By rescinding DACA, the Trump administration violated this implied contract with the DREAMers by taking away their deportation relief and imposing the very real threat of targeted deportation with no remedial relief available to them. Since the DREAMers reasonably relied on the agreement between themselves and the government by revealing their personal information and undocumented status in consideration for temporary, renewable deportation relief, they have relied on this implied contract to their detriment. It is thus essential that a mechanism be put in place to remedy this extremely unjust situation. The Second Restatement of Contracts states that an injured party is entitled to restitution for any benefit he or she has conferred on the other party through partial performance of the agreement or through reliance on the agreement. Allowing the government to use the personal information provided by the DREAMers to deport them is in direct contravention of the original intention of the agreement, which was to effectuate a release of this information in consideration for deferred deportation. Thus, the rescinding of DACA constituted a breach of this contract, the only viable remedy for which is performance. After being proposed multiple times and nearly becoming law in 2010, it seemed likely that the DREAM Act would eventually pass, and thus DACA was enacted as a temporary placeholder in the interim. Federal courts have issued preliminary injunctions, requiring that USCIS accept applications for renewal from previous DACA recipients. However, this action is not necessarily permanent and leaves all DACA applicants still potentially vulnerable. The remedy of “performance” is therefore best implemented by the passage of the DREAM Act by Congress. This is the only way to ensure that the DREAMers are given the protections they were initially promised in consideration for which they surrendered their anonymity as undocumented as well as their residential locations. DACA is a contract, the terms of which were violated by the government, leaving many DREAMers in serious jeopardy of being deported by use of information that they themselves provided to the government with the promise that it would not be used against them. Because of these harsh realities, Congress must pass the DREAM Act to make sure that DREAMers are able to remain productive members of society and to ensure that there is no possibility that they may be punished by the government for giving forth vital information in exchange for promised life-altering protections. 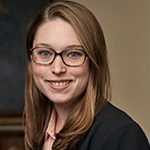 Kelly Bogart is a third-year student at the Maurice A. Deane School of Law at Hofstra University.